Natural disasters are a frequent occurrence in Upstate New York that can greatly impact the homes and businesses of Saratoga Springs by creating water damage, flooding, and structural damage. Being prepared ahead of time is the only way to protect your property from storm damage and other disasters, but sometimes even that is not enough. Nature is a powerful force, creating violent weather patterns that can destroy the most well-maintained properties, especially during events that include tornadoes, thunderstorms, and bomb cyclones. 911 Restoration Saratoga Springs understands how important it is to act quickly when water is damaging your home during a disaster, so we stay available 24/7/365 to assist you when you need it most. 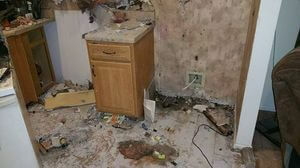 Whenever water damage is involved in your emergency we guarantee to arrive within 45 minutes of receiving your call. This way we know we are reacting as fast as possible in order to limit the amount of damage being created. So, call our disaster restoration Saratoga Springs experts when you need remediation services and we will work with IICRC certified technicians to provide you with a free inspection and estimate as soon as we arrive. When snow storms, blizzards, nor’easters, and bomb cyclones rage in your city, the conditions can wreak havoc on homes and businesses in the area. By winterizing your commercial or residential property you can protect it from the effects of freezing temperatures and the harsh elements. However, even by prepping your property, you may still experience damages from powerful blizzards. 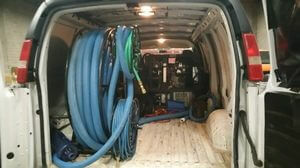 911 Restoration Saratoga Springs knows how to mitigate all of these issues, and more. So, call us the moment your property is impacted by a blizzard and we will work hard to repair your home or business today. Thunderstorms and tornadoes go hand in hand and when they both hit, the destruction that ensues can be monuments. The heavy rain, lightning, and strong, whirling winds have the ability to rip off roofs, flood basements, create leaks, and cause extensive structural damage. There are steps you can take to protect your property from these severe weather patterns. They include installing storm shutters on your windows and glass doors, sealing around your windows and doors, reinforcing garage doors, installing hurricane clips on your roof, and bringing outside lawn furniture indoors. The winds are the main force that you need to protect your property from. They can lift up large debris and throw them into your home or building, breaking windows and damaging siding. 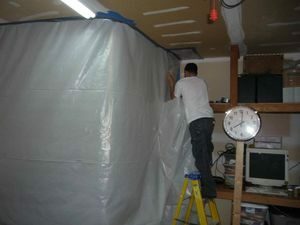 It can also blow the shingles off of your roof, exposing the property to interior water damage. When a tornado whirls through your town, call our disaster restoration Saratoga Springs agents and we will work diligently to completely restore your property from storm damage.